Dr. Arnold Rogers, a prominent Winnipeg doctor, is the grandson of North Dakota pioneers. He is presently Assistant Professor, University Medicine of Manitoba. This is the story or Maier and Doba Calof, my maternal grandparents. It is based on two sources: the eighty-six page memoir that Maier wrote when he was seventy-three, entitled The Lives of Maler and Doba Ca/of. and the first twenty-five pages of my mother Celia’s memoirs entitled This Reason of My Life Dedicate to my Three Children, Molly Rogers Brickman, Beatty Rogers Zack and Arnold G.Rogers M.D. Isaac Maier Calof was born in 1869, a week before Passover, in Steblev in the province of Kiev, the Ukraine. His father was Mordechai, or Motel, and his mother was Zecpah. She died in her thirties when Maier was only seven years old. Maier, his brother Leib (John), and his sister Chaye were left with their widowed father who soon remarried. Maier was unhappy at home, however, and at the age or fifteen, left Steblev to go to Shpola, a larger industrial town about forty miles away. Both towns were approximately 130 miles north of Odessa on the Black Sea. For Maier and Leib there ensued a series of jobs. They worked in a labour camp helping build the Great Northern Railroad. Because they spoke little English, camp life was difficult and they were often ridiculed by their fellow workers, especially on Sunday. 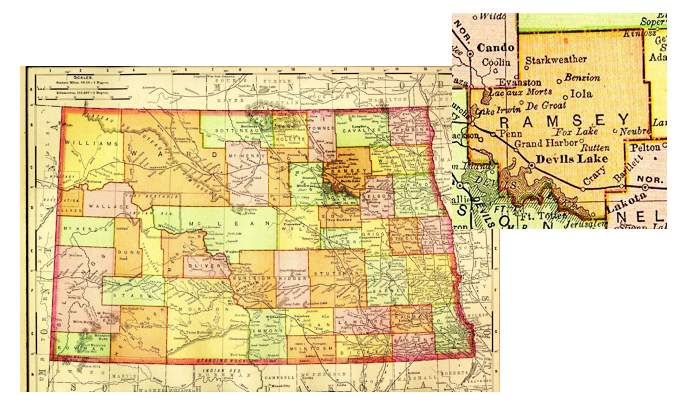 They also worked as freight carriers between Minnesota and Montana, traveling by horse and wagon. After a move to St. Paul, the brothers worked at snow clearing and street cleaning. Their father became a peddler, and Maier ind Leib also sold junk that they had collected; Maier, not trusting banks, kept his money sewn into the lining of his trousers. Leib joined him shortly after. In the meantime, Doba was still far away in Steblev. Her parents were Shloima Menashc and Elka Etta. who had died when Doba was thirteen. Shloima,or Sholem was Motel’s brother, so Maier and Doba were first cousins. Motel and Shloima corresponded and the end result was that Doba and her sister Sarah would become the brides of Maier and Leib. Tickets were sent to them when Leib and Maier sold some bulls; the ninety dollars from the sale paid part of the ticket price, with the remainder being paid by installment. Doba, Sarah, and two uncles, Sol and Abram left Russia. They were expected in June, but their arrival was delayed; Doba had become ill on the boat and the party was forced to stay in New York until she recovered. They finally reached North Dakota. Maier, who had just painted the house, met them with paint-spattered trousers, the only ones he had. The four of them shared the one-room sod hut. but because Doba felt it was not proper for a Jewish bride and groom to live unmarried in one house. the wedding was quickly arranged. What a contrast to the weddings of today, yet the religious essentials were the same. The chupah consisted of a red tablecloth tied by the corners to four sticks. Doba made her own wedding gown from calico costing five cents a yard: the total cost was probably a quarter. The mikveh (ritual bath) was a trough filled with cold water. The pre­nuptial call to the Torah was held at another farmer’s house, a six·mile walk. The tables for the wedding feast were made from plain boards. Doba cried at the ceremony, but things looked up and they celebrated until morning. The inevitable occurred: by eighteen, Doba had had her first child. The number eighteen symbolizes chai, or life in Hebrew, and the two young parents felt that this was significant. The delivery occurred on the farm without benefit of the physician in Devil’s Lake. Maier had travelled twenty-five miles by horseback to fetch him, but found him drunk. After three days of labour, Doba delivered Elka (Alice), named after her mother. Doba, always inventive, made diapers from flour sacks and a hammock: for the baby from a large sack. The rest of the children followed soon after; Abraham and then Zeepah who was named after Maier’s mother. (This third child, whose English name was Celia, was born in 189S or 1896. She was my mother.) David followed, then Len, Brina (later Shubin) and Rock, who was premature and weighed only one and a half pounds. He was placed in wrappings by the stove to keep him warm. Seven of the twelve children were born on the farm in North Dakota or in the town of Devil’s Lake. Taking refuge in the house with the family were the chickens and a baby calf. In bad weather, a rope was attached to anyone going outside so that the person could be pulled back in if necessary. Ropes would also be strung between buildings so that one would not get lost in the white-out of a prairie blizzard. One winter, Maier had gone into town to sell some non-kosher meat. So much snow fell while he was away that Doba could not open the front door to reach the wood pile, and she had to burn the furniture to heat the house. When she was able to reach the barn three days later, the starving animals were wild. They had even eaten the ropes with which they had been tied. Other seasonal hazards included a prairie fire, summer storms, cyclones, and even a house fire. Life was not easy. In the winter, the family melted snow to obtain water. Dry manure, buffalo chips, were collected and used as fuel. At night, home-made candles lit the inside of the house. Mending and sewing the family’s clothes were Doba’s jobs, which she did in the evenings by candle light or kerosene lamp. Both parents washed the clothes; no male chauvinism was in evidence. Food was easily obtained, but food preparation was a time consum­ing labour. Doba baked bread daily. Maier helped with the kneading of the dough. He could also cook and bake, but Doba’s cooking must have been good; Maier writes that when Doba arrived cmiracles occurred each day. Potatoes became gefilte fish; onions, chopped steak. The meals were delicious. When Doba milked the cows, the children would drink the sweet, fresh warm milk with the foam floating on the top, right there in the pasture while Doba milked and smiled. Mustard flowers were picked and made into mustard for the table. Choke cherries were picked. Doba also made some sort of sauce from sour grass. Farming has never been an easy way to make a living. The results are subject to the vagaries of the weather. Maier wrote, “the growing season was short and cold weather came too early in August…” One year he wrote, “This time we had a good year. The crop was abun­dant.” On Rosh Hashanah, no farm work was done. One year, to the consternation of all, rain and snow fell on the second day or the holiday. There were heavy crop losses and the hay stacks froze. Maier had to hire out that year as a labourer to make ends meet. The last of their years on the farm, however, resulted in a plentiful and prosperous harvest. What more vivid. concise description of the view on a prairie farm could be penned. And with only nine syllables. After typhoid, Doba treated skin infections with baths in a wash tub, and a rubbing with a garlic mixture. A Dr. Johnson, my mother stated, came fre­quently to the house and even joined in Jewish sing songs with the convalescents. The children laughed when Dr. Johnson could not say the words. On another occasion, Maier suffered broken ribs in an accident with a farm animal. Doba then carried the burden of the supervision of the farm. Later, when Maier was badly hurt while thrashing, the days or active farming had to come to an end. Again and again, intertwined in the memoirs of both my mother and my grandfather, laced into the fabric of the day-to-day farm activ­ities, is the constant reference to God and religion. It was their way of life. The two pictures of Doba and Maier chosen to illustrate Maier’s book, show Doba with a candle, as if reciting the appropriate blessing, and Maier with a prayer book in his tallit, yarmulke and tfillen. My mother recalls how as children they were told to wash their hands and face, then fold their hands and say grace. Can I ever forget that godliness in her face. After we finished this tiny liltle prayer, Mama would kiss us and say, “now we eat.” What beautiful mem­ories, deep so deep in my heart, yet always to cherish. They awaken in me desires I had long suppressed. I recall my youth and love times ago. And in dreams, endless dreams. always near me. But the farm days came to an end in the early l 900’s when Maier was hurt. The farm, 329 acres of good North Dakota land was sold. Then, it was off to Devil’s Lake and later to Winkler, Manitoba. In the fall of 1981, almost a hundred years after Maier came to North Dakota, my wife Erica and I set out to discover the Calof farm. We undertook an exploratory trip to Devil’s Lake. In the land titles office we searched the transactions of land purchases and sales until we came up with the records that showed the location of the farm. It was located about fifteen miles north and a bit east of Devil’s Lake in Sullivan County. Located just to the east of Maier and Doba’s farm was the adjacent farm of Abram Calof, Maier’s uncle. On Abram’s land, a Jewish cemetery had been established. It is a small plot of land connected to the road by a strip of prairie grass. The cemetery is overgrown with wild grasses and weeds and is surrounded by a barbed wire fence keeping it separate from the sunflower crop growing in the fields around it. There are about twenty graves identified by stone markers in varying states of disarray and decay. The lettering on the stones is weather beaten. We left the cemetery and drove west to tile next farm. There were no buildings left on the land. We were certain, however, that it was Maier and Doba’s farm, as we were able to identify Abram Calof’s land to the east and the farm to the south. We had found the old homestead, and the ghosts of our ancestors were all around us. I could see my mother, my grandparents, and the other members of that Jewish farm colony bidding us welcome to the land where they toiled, where they sometimes suffered, and yet where they found considerable personal happiness. It was their land of hope where Jewish culture and education could be nourished without the fears that had surrounded them in the Ukraine. At least for a little while, the memory of that era one hundred years ago was recalled, and as their descendants, we were able to share the hopes. dreams, and strivings of those early settlers in the Jewish farm Colony near Devil’s Lake, North Dakota.